Oh my, chai! Chai lattes are sumptuously sweet and pleasantly piquant and they're taking the world by storm. They're staples in the bazaars of India and increasingly popular in French cafes. Chai lattes are complex beverages that can satisfy a sweet tooth and give taste buds a jolt all at the same time. The creamy finish offers a full-bodied feel while the blend of spices adds intrigue and surprise to each sip. You don't have to hit the road to taste a delightful chai. You can whip these up right in your own kitchen using spices you probably already have in the cabinet. 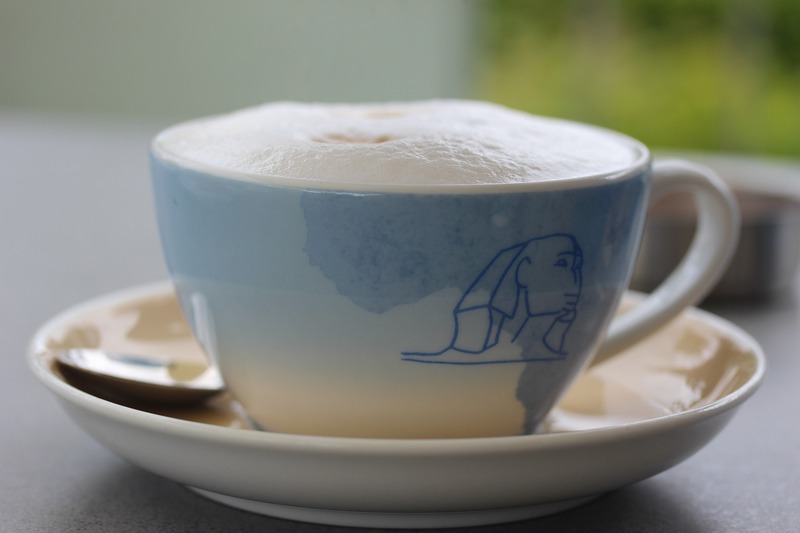 Read on for tips and recipes on how to make your own homemade latte that rivals the blends at your local coffee house. Below, find two recipes: A classic chai latte and everyone's fall favorite, a pumpkin chai latte. What Is Chai Tea Latte? In India and China, chai simple means tea. In the western world, chai has become synonymous with a frothy tea beverage made of spices. 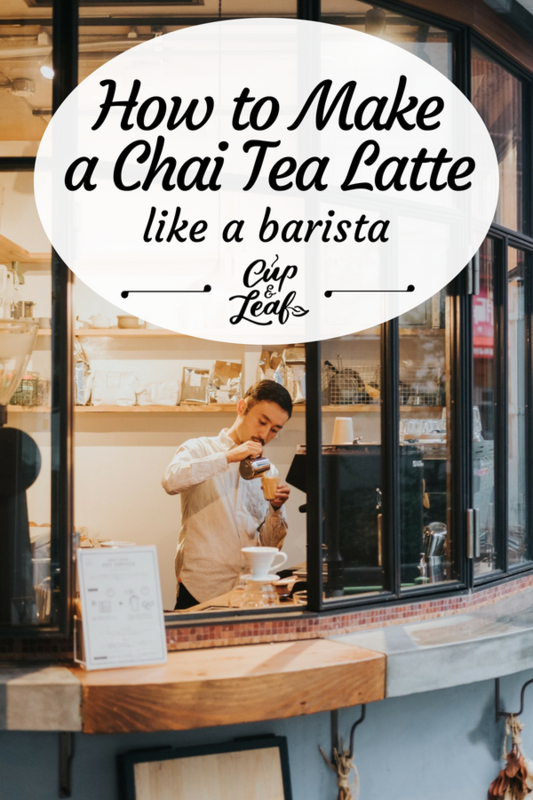 Chai lattes are staples at tea houses and coffee shops from the powerhouses like Starbucks to the local-run mom-and-pop shops. Chai, also commonly called masala chai, is a powerful blended tea made of spices. It can be brewed using only spices and milk or with the addition of true tea leaves. Chai is most often brewed using black tea leaves or oolong tea leaves rather than green tea or white tea leaves. It is also commonly brewed with rooibos tea for a caffeine-free variety. Chai tea can be brewed using chai tea bags for a spiced tea that requires zero cook time. Chai tea can be made from a variety of herbs and spices. 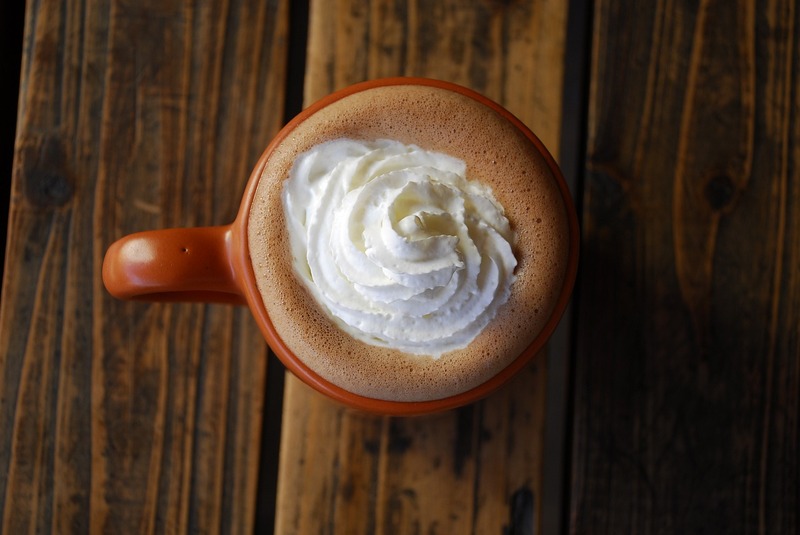 Most chai lattes contain cardamom, black pepper, cinnamon, clove, ginger, and fennel. Some blends also include anise and coriander. The taste of masala chai is uplifting and invigorating. 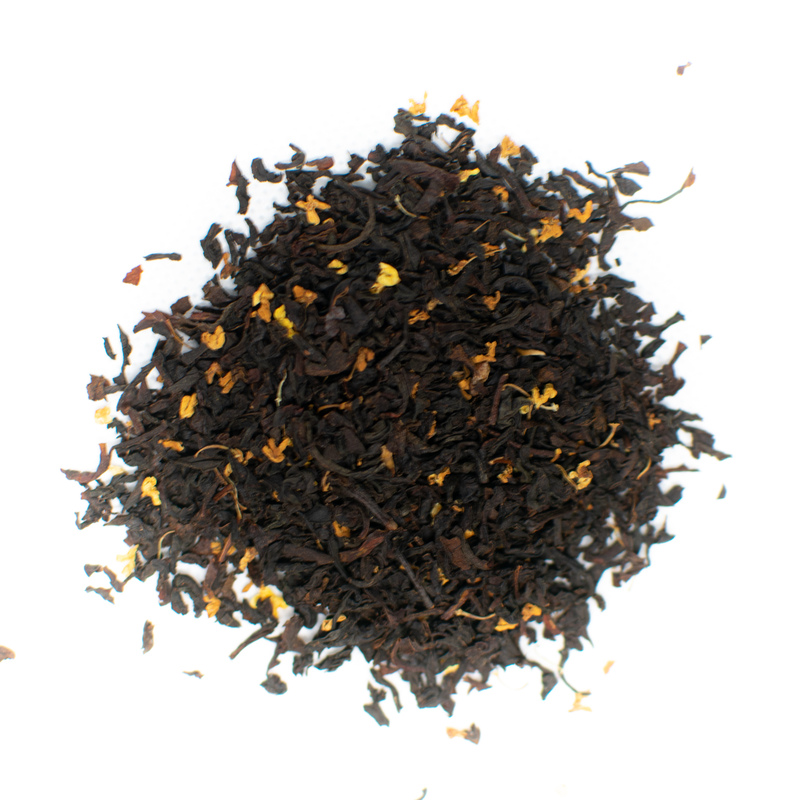 The tea is earthy in flavor and spices like pepper and ginger give it an added kick. Chai lattes are blended with milk, giving this tea a creamy texture that contrasts the spicy herbs. Chai boasts many health benefits from increasing energy to streamlining digestion. This tea is beloved in Chinese traditional medicine and Ayurveda thanks to its potent health benefits. 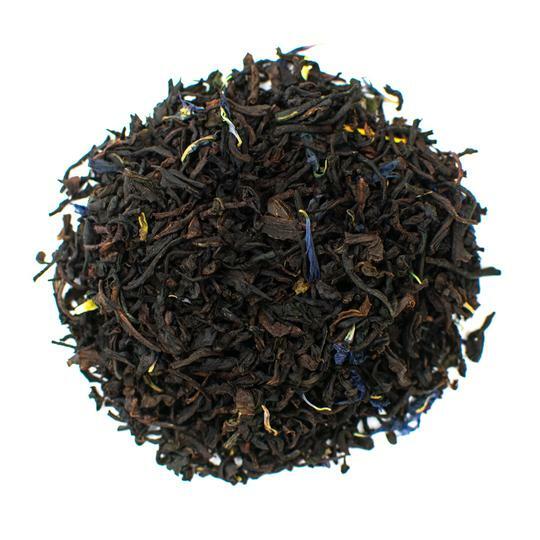 Some chai lattes contains caffeine, making this tea is a great choice for starting your day. It can also give you a little energy boost in the afternoon to power you through the day. 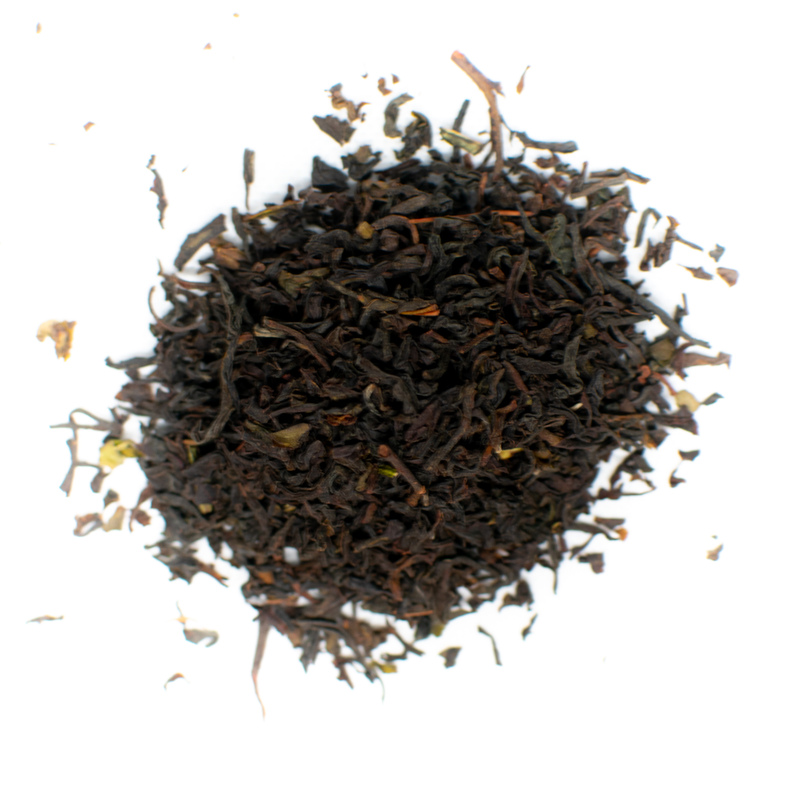 Chai only has caffeine when it is blended with true tea leaves, which naturally contain caffeine. Chai tea also helps digestion since it contains ingredients such as ginger. Ginger aids digestion by improving circulation and delivering oxygen to organs so they can perform optimally. Black pepper also helps the pancreas produce digestive enzymes. 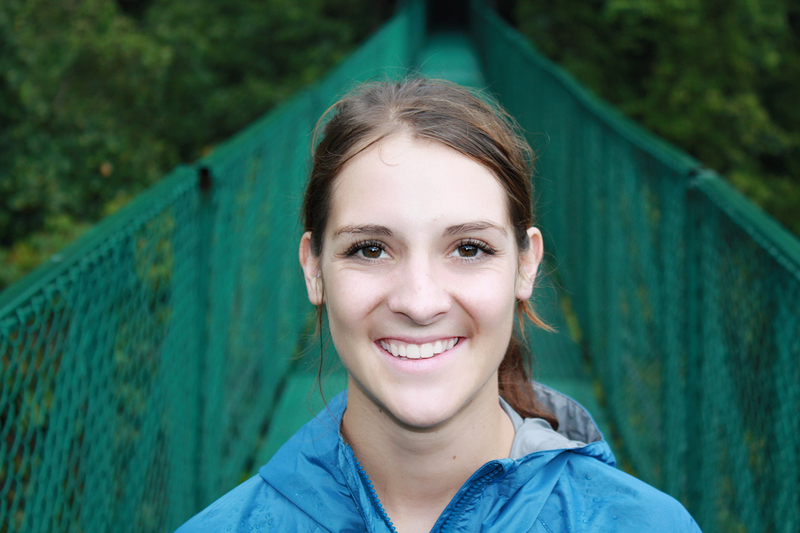 These enzymes speed up digestive processes that break down fats and proteins. This helps protect you from liver diseases, iron deficiency, and digestive disorders. Chai can also help reduce pain and inflammation. Clove and ginger contain anti-inflammatory properties that help to treat arthritis and achy muscles. Cloves have been used for thousands of years to treat toothaches and promote dental health. In modern times, studies have even shown that clove gel can be used as a topical anesthetic. Research has shown it is as effective benzocaine. Chai tea is packed full of antioxidants and polyphenols that eliminate free radicals. Free radicals can cause cell damage and are linked to neurological diseases as well as many types of cancer. The antioxidants in cloves and cinnamon help to protect against cell degeneration. Picking the ingredients in chai latte can seem overwhelming. There is a large range of spices that can be used to make this Indian drink. We've put together a standard recipe below, but don't be afraid to experiment with flavors. You don't have to follow the recipe exactly, feel free to mix it up by adding new ingredients and omitting others. There are five essential spices when it comes to making chai: cardamom, cloves, cinnamon, ginger, and black peppercorns. Cardamom features a smoky, warm flavor that is essential to chai lattes. We recommend brewing with cardamom pods rather than just the seeds for the best flavor. Cloves are essential in chai because they play up the flavors of the other spices. It is considered a moderating note in chai and responsible for a host of health benefits. Cinnamon adds a sweet flavor to chai that plays well with the biting notes of the spicier herbs. We recommend using cinnamon sticks for the fullest flavor. Chai lattes are often garnished with ground cinnamon for a visually pleasing presentation. Ginger is another chai staple that adds the biting flavor that makes this beverage beloved. It is also the main compound that offers digestive health benefits. Use fresh ginger root whenever possible, but ground ginger can also be used in a pinch. Black peppercorns are the reason chai gives you a warm, full-throated feeling. Don't skip this spice when brewing your chai! 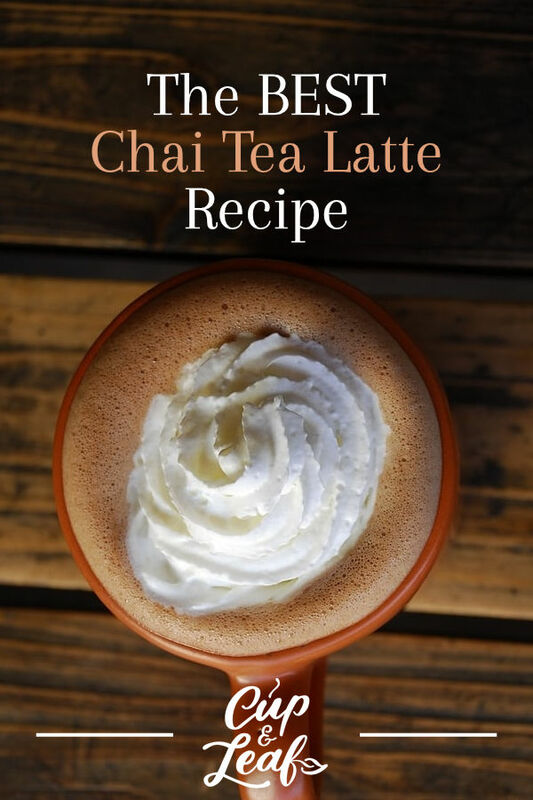 Most chai lattes that are brewed using true teas, use black tea varietals. 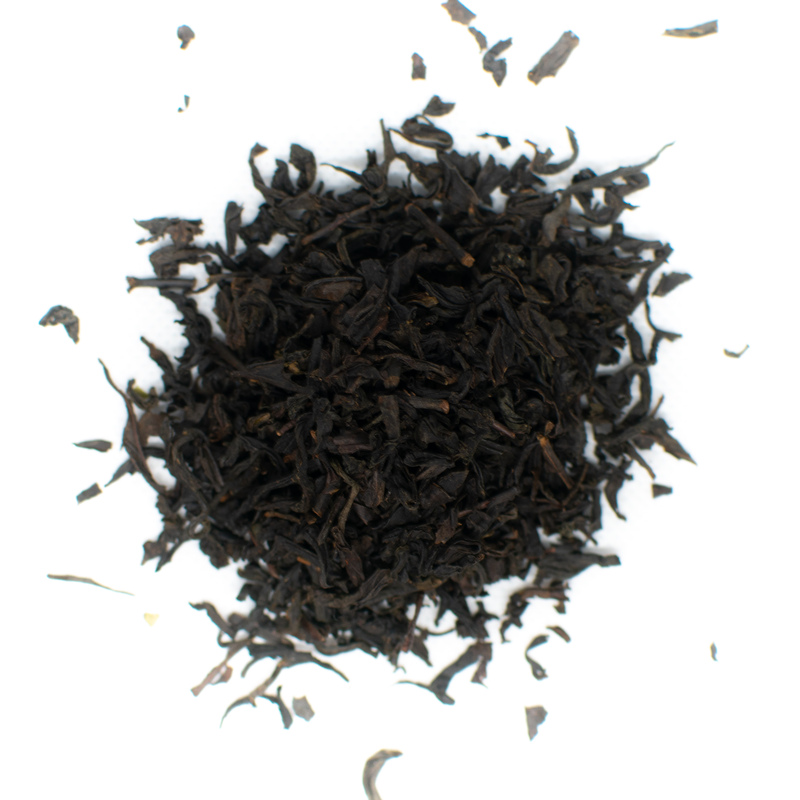 Assam, Darjeeling, and Keemun are the most popular black tea types. You can use loose leaf teas or tea bags if you prefer. Loose leaf teas are generally better when it comes to health benefits. That's because loose teas contain larger and more complete leaves than tea bags alternatives. You'll get more of the antioxidants and healthy compounds of tea leaves using loose leaf teas. If you must use tea bags, look for sachets that allow the tea leaves to expand and infuse flavor better than small, constricted tea bags. Most people find this to be the hardest step when making chai. You don't have to have a fancy espresso machine to whip up frothy milk. You can create the creamy texture simply by whisking or blending. Whisking works best for dairy based milks while blending is best for soy, coconut, and nut based milks. Start by heating the milk on medium to high heat. Use a hand mixer or a metal whisk to vigorously beat the milk. It should take just a few minutes to have frothy milk. Use an immersion blender to froth your milk. For the best results, blend the milk before heating it on the stove. Alternatively, you can shake the milk aggressively in a large glass jar or a cocktail shaker. Once you add heat, the milk will froth and foam in minutes. 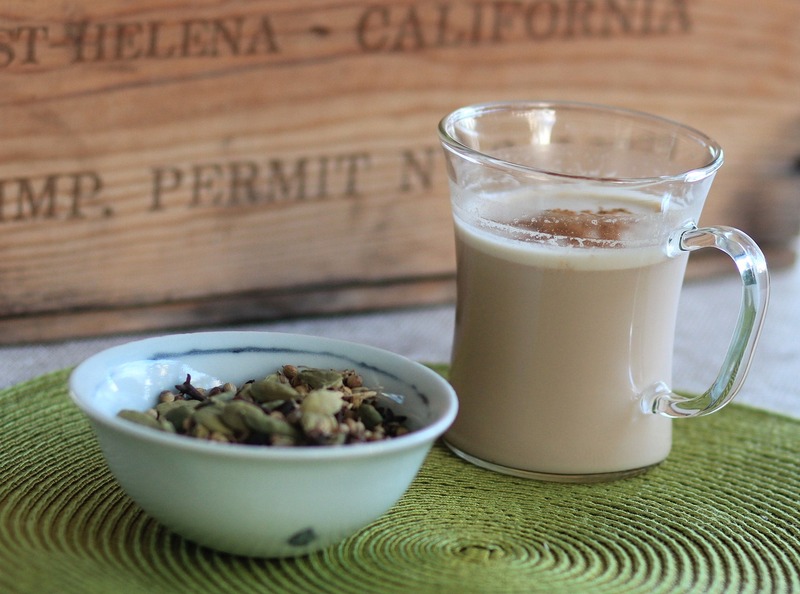 This chai tea recipe makes four servings. You can mix it up by adding different spices, just remember to include the standard five ingredients. You can also add less or more sugar or milk depending on your preferences. Skip this step if you are using ground spices. Add the five essential spices to a small saucepan. Cook over medium heat, making sure to stir the spices or shake gently to prevent burning. The spices are toasted once they start to emit a rich, strong fragrance. Pour water into a medium pan and add fresh ginger and toasted spices. Simmer on medium heat for 5 minutes. Remove the hot water from the stovetop and add in the tea leaves or tea bags. Place a lid on the pot and allow the tea and spices to steep for 10 minutes. Once the tea is steeped, add your choice of sweetener. Stir well and strain out the leaves and spices using a fine mesh strainer. Set the tea mix aside. Using a new, medium saucepan, bring the 4 cups milk to a boil, making sure to stir often to avoid burning. Shake or whisk vigorously if using whole milk. For nut based milks, froth the milk using an immersion blender before heating the milk. Step 5: Pour and Enjoy! Fill your cup three quarters of the way with the tea concentrate. Top with the warm, frothy milk. Add a small amount of ground cinnamon on top for garnish. Pumpkin spice is everywhere. A staple of fall and Christmas recipes, why not add it to your chai latte? Combine all of the pumpkin spice base ingredients together in a large bowl. Mix well until all ingredients are incorporated. You can make double batches and store in an airtight container in the refrigerator for up to 2 weeks. Brew the chai tea using the instructions from the standard recipe above. Start by toasting the spices in a small saucepan and combine in a larger pan with tea leaves and hot water. Steep and strain. Add the pumpkin spice base and milk to a medium saucepan. Set the stovetop to medium high heat and simmer for 5 minutes. Add the tea concentrate and pumpkin spice milk blend to your tea cup. Enjoy! Chai tea is safe to consume and there are very few side effects associated with this tea. Most side effects can be attributed to excessive consumption and additives in this tea. Always brew chai with ingredients that are cultivated without pesticides. Chai is a great choice for most people, but read on if you are sensitive to caffeine, pregnant, or managing your sugar intake. Chai doesn't contain naturally occurring caffeine when it's brewed using only spices. However, chai can contain caffeine when brewed with true tea leaves. It's hard to estimate the caffeine content of chai tea since true teas contain varying amounts of caffeine. If you are sensitive to caffeine, leave out the true tea leaves. You can use white tea leaves if you want a subtle caffeine kick or rooibos tea leaves for a completely caffeine-free variety. The main unhealthy components in chai are the sweeteners that are added as flavor. Condensed milk is a popular sweetener in chai and is packed with sugars that can be detrimental to health. Keep sweeteners to a minimum to avoid negative side effects. People who suffer from diabetes should be particularly careful when adding sweeteners to chai lattes. Try to stick with healthy alternatives such as almond milk, coconut milk, or a slice of lemon to add flavor. Pregnant or breastfeeding women should be careful consuming chai. This tea contains many herbs and spices that have documented effects on pregnancy. Always consult with your physician before consuming chai tea when pregnant or breastfeeding. Chai blends containing thyme, parsley, guarana, and burdock should be avoided completely. You can whip up a fall favorite with our pumpkin spice latte recipe or put your own spin on it by adding pralines or Brazil nuts. The beauty of chai is that it consists of just a few base ingredients and offers a wide flavor profile. You can play up the sweetness of the beverage or choose to highlight the spicy notes instead. It's a beverage that you can easily make your mark on in just minutes.